Ian Murray is behind the shield then it is me (wearing our Scottish Schools’ tracksuits) then Willie Paterson, Tommy Patterson with Harry Gorman behind them. Eddie’s son , Gordon is in front of Tommy and then between Tommy and Eddie is James Martin (Harry’s brother in law). Eddie’s 2nd son,Graeme, is next (in stripes)- Graeme sadly died. The final athlete is Johnny Buntain. I think this was taken in 1974 outside Huntershill.. It was taken on a regular training night but for some reason the picture was missing National Gold team medalists:- Adie Callan, Graham Crawford Jim Lawson, Joe McLean, Donald McLeod, Robert Craig as well as seniors Eddie Knox and Iain Young. 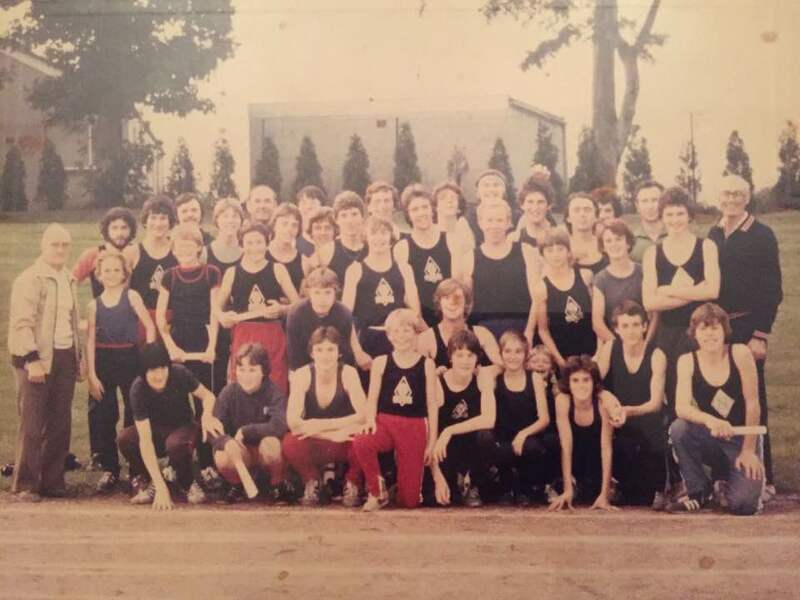 The lad between Graeme Williamson and Bill Ramage is Derek Connacher, who was 9th individual in the Scottish Schools Middles Race (more than 300 runners) and because he was the 5th Lenzie counter he didn’t get a team medal ! Eddie was an excellent runner who ran for Scotland on the track and over the country. His range was wide – from 880 yards to six miles and steeplechase on the track, road racing including the Edinburgh to Glasgow relay and cross-country. 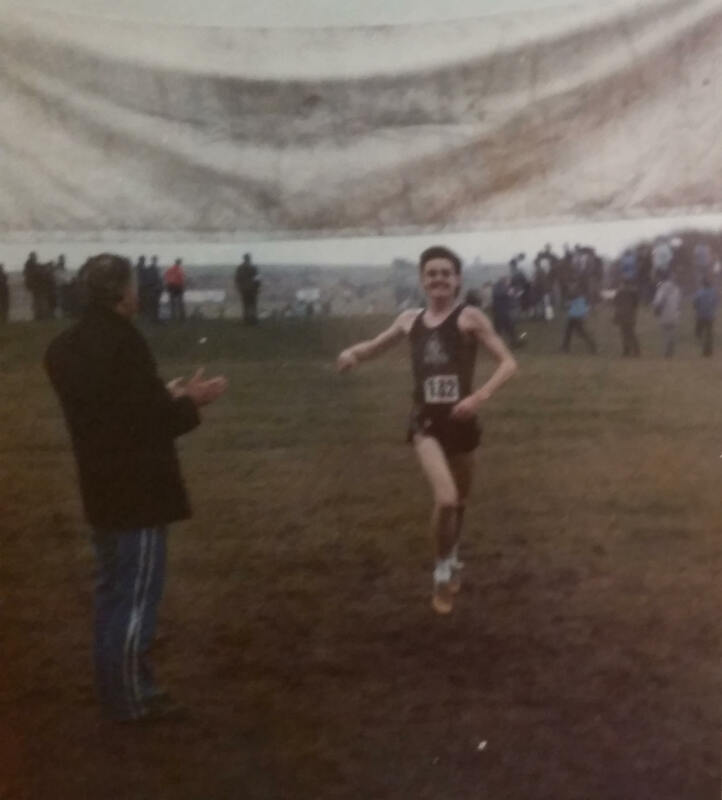 When his running days were over, he did not walk away – he stayed to coach generation after generation of young athletes and arguably did more for Springburn than he had done as a runner. And that had been considerable. The sheer numbers of trophies won was staggering. For instance between 1962 and 1981 his Under 15 teams won medals in 16 national championships out of 19 – each team had of course four to count which meant at least five runners per race, so 80 individual medals at national level for the boys to take home. Of course he had Under 17 and Under 20 teams under his care at the same time – the numbers not as great as the Under 15’s because at 15 many have to spend more time on their school work or are starting to earn their living in the workplace and the numbers inevitably fall for reasons unconnected with athletics or coaches. The numbers were large but, another surprising fact, they almost all came from the same area of Kirkintilloch and Lenzie. Arthur Lydiard said that you can find champions anywhere – Eddie found his almost all in the same small area. We really need to find out more about him and his methods as far as we can. The Springburn team at Bute Highland Games Medley Race: Eddie on the right. Eddie’e career as an amateur athlete was a relatively short one. After coming through the ranks as a Youth and a Junior, his senior career lasted just three years – but it was meteoric. On the track he had best times of 9:06 for Two miles, 14:05 for Three Miles and 9:27 for the 3000m steeplechase. He won the SAAA Three Miles in 1960 and in the same year he was sixth in the National and was selected for the Scottish team for the International Championship. As a Youth he had been fourth and sixteenth in the National and as a Junior in 1957 he was eighteenth. As a Senior it was 6th/36th/15th. In the Edinburgh to Glasgow, his first run was in 1957 when he was on Stage Seven and moved the club from eight to fifth with second quickest time of the day. We know he ran the same stage the following year but no details are available about his performance. In 1959 he was sixth on Stage One and in 1960 – his own personal annus mirabilis – he took over in fifth place on Stage Two after Tom O’Reilly had run well on Stage One, and moved through to second with the third fastest time of the day. His last run in the E-G was in 1961, again on Stage Two when he took over on Stage Two in eighteenth and held that position – by the time Tom came to run on the last stage the club had climbed to fourteenth and that was where he kept it. He ran as a pro after that for a while but crept back into amateur athletics soon after. That’s when the coaching started. We can begin by looking at the record. He started coaching in the mid 60’s and we take the years from 1963 to 1986. At National Championships level his teams won a total of 35 sets of medals, of which 12 were gold championship medals. In the individual championships, his runners won 29 medals, of which 14 were gold. 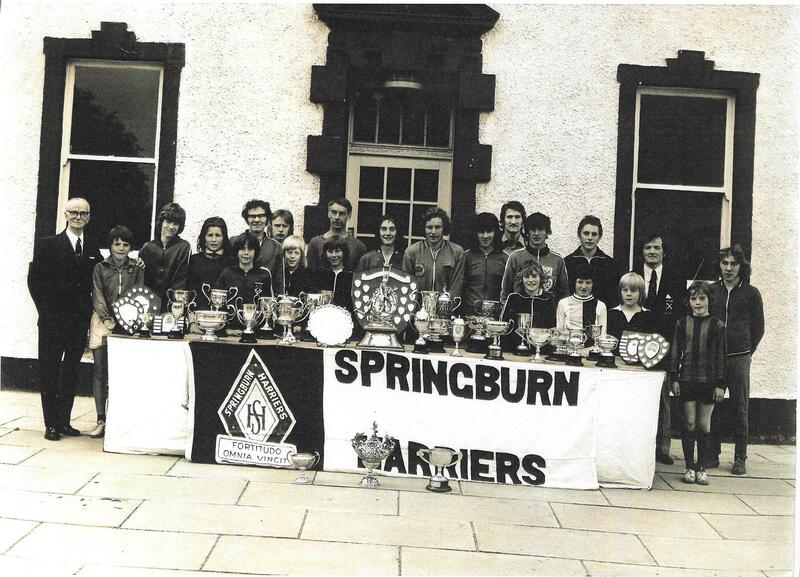 The best year was arguably 1973/’74 when Springburn Harriers won the Under 13, Under 15, Under 17 and Under 20 team championships. The results were of course even better in the Midland Districts (until 1975) and Western Districts (from 1976) where the opposition was less numerous but contained all the strongest clubs such as Victoria Park, Shettleston and Cambuslang. 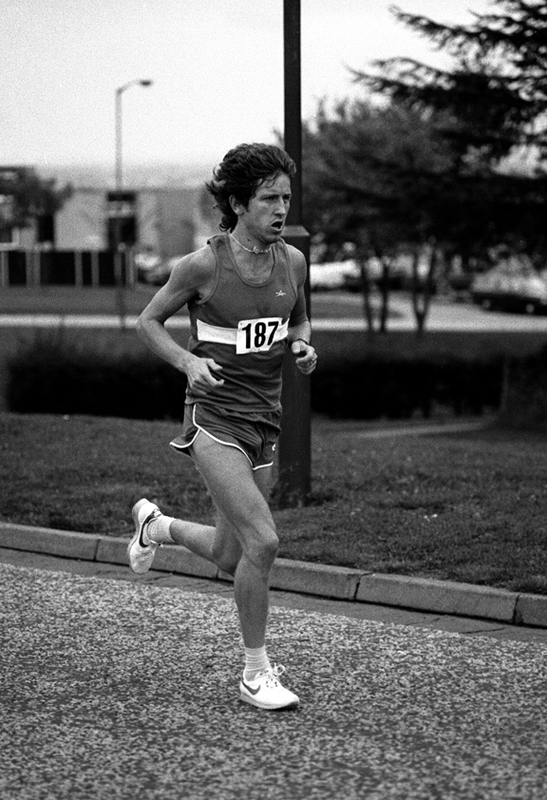 In fact when the West District started their Young Athletes relays (under 13, under 15 and under 17 running in that order, Springburn won for the first six years in succession until Clydesdale Harriers took the title in 1981/82. There were also many titles won on the track in all the age groups as well as in the Scottish Schools championships. Graduates from the Eddie Sinclair Academy of Excellence, had their been such a thing, included Eddie Knox, Duncan Middleton, Graham Williamson and Steven Begen. We could go on quoting similar statistics but the point is made. One more point has to be made however: many coaches who have success with boys teams, fail to deliver senior athletes at the end of the process. Eddie’s record is better than that – the four above were all senior internationalists, three of them won British Championships and one won gold, silver and bronze at world cross-country championships. If the team/individual medals in the national cross-country championships are looked at we see that there were 5 team and 9 individual medals won at U20 level compared with 8 team and 2 individual at U13. There were more U20 individual golds than at U13 or U15. that he worked on his own – there was no team of supporting coaches following his guidelines. that his athletes came from the relatively small communities of Kirkintilloch and Lenzie with a few from Bishopbriggs. “I have strong memories of the man from club nights and races and I’d sum him up in one word- passion. “Eddie spoke with conviction. He was like an old style tough football manager who could get his team totally fired up. When he talked you listened. He held the stage. When Eddie roared at you in the final stages of a race you always somehow dug deeper, no matter how tired you imagined you were at that point. As I’ve grown older I’ve found myself thinking more and more that if he had been my coach I’d have run over broken glass for him. I go to races these days to support the sons of a friend and I find that I remind myself of Eddie, chasing the lads around different parts of the course roaring them on. I get completely caught up in the moment, willing them to get everything out of themselves. That was Eddie, he just wanted you (demanded, expected?) to go to your very limit, ask every question of yourself. Why run if you don’t do that? That would have been his bare boned philosophy. Eddie trained his athletes like most serious runners of that era, no fancy methods just straightforward hard work with a healthy mix of good sustained runs, often with a burn up at the end, and plenty of intense, quality and high rep track work. No – or little – gym work as far as I know. He had a reputation for training teenagers very hard. It produced strong contenders and champions, and brought accusations in certain quarters that lesser runners were used as cannon fodder for Graham Williamson, ultimately to their detriment. I remember the same being said about Naylor and Nat Muir at Shettleston. It was also said that during a period of doldrums for Springburn, nobody really turned up except Eddie, Jack Crawford and Williamson. And ask me to name the three most significant people in the club in my lifetime, and I suppose I may have the longest ongoing continuing connection, and it would have to be those three for their constancy, work and impact. What Eddie did with Williamson was immense. Eddie asked everything of Graham and Graham had the makeup to respond to those demands. The teenage Williamson trained extremely hard under Eddie, with a heavy emphasis on frequent quality training. In the early/mid 60’s Eddie had a quartet of Eddie Knox. Duncan Middleton, Harry Gorman and Ian Young. Knox won the International Cross-Country Championship, Middleton was one of the best 880 yards runners in the United Kingdom, Gorman was a very good middle distance runner who was unfortunate not to get a SAAA title and after leaving school, Ian Young was a member of the really great Edinburgh University team. Knox confirmed all that Graham Crawford said above about Eddie’s passion and determination but added that ‘you didn’t question his sessions’, you did what he said to the letter or you moved out of the squad. He was quick to add, however, that Eddie did a lot for him personally. However this first group that he worked with all achieved wonderful things in their career and one of them, Harry Gorman, went on to coach new generations of Springburn Harriers to success himself. I found a different side to Eddie especially in my best years 84 through to 87. Eddie coached me from my first real introduction into Springburn Harriers in 1978 ensuring that I knew what kind if club I was joining and what it took to succeed. After a few years if club running Eddie pulled we aside at the start of the 83/84 season stating with real intensity ” Win the Scottish you go to the World’s” true to that I managed to win with Eddie popping up at real decisive points throughout the course encouraging me in the way only Eddie knew how. After 84 I worked very closely with Eddie and looking back now realised how ahead of his time he was. Eddie was brutally regimented, tough but fair.. but most importantly Eddie was your mentor, he laughed, joked and chastised you all in one sentence. He had the mental strength and knowledge to ensure you had a steely determination to succeed and reinforced that in every single session you did. There was no trainibg session that didn’t have a purpose. I remember Eddie with great fondness, he was like a father to me after I sadly lost my own father at 15. He understood what a young rough boy from Balornock needed and provided everything to make me a complete athlete and young adult. Was there any single thing that marked out Eddie’s runners from the rest of the scene, that accounted for the tremendous success of his runners? Yes, there was, and it reflected the coach’s values in a very practical way. Eddie’s runners always gave 100% effort. They never eased up. This was, to me, most easily seen in the Under 17 age group probably because I was coaching some runners in that age group at the time. Races for Under 17’s generally started with a bit of a rush and went pretty hard for the first third of the distance, then eased up for the middle third before starting to race properly again for the last third of the race. The Springburn youngsters just didn’t run that way: there was no steadying up in the middle of the race, there was no wee ‘sleep’ anywhere after the gun went. They started hard and kept going hard all the way to the finish. Others learned from that and soon everyone was trying to get their athletes to go from gun to tape. But they had a job on their hands. 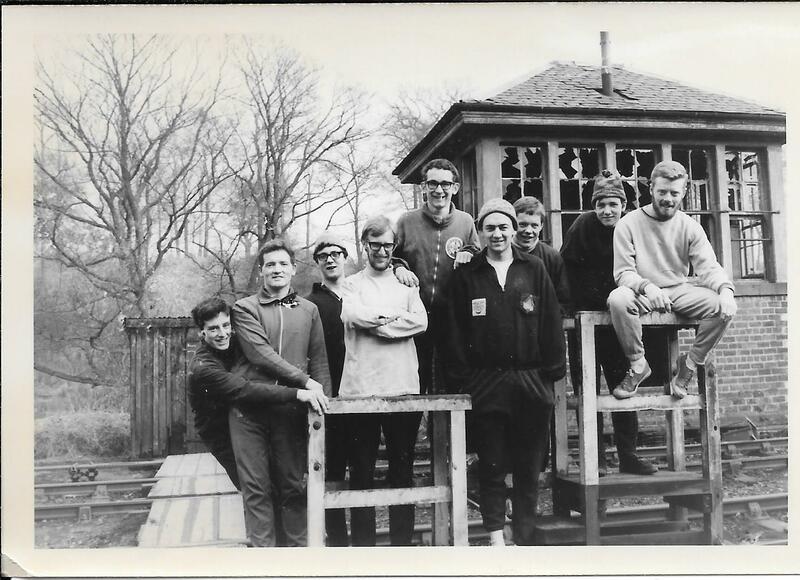 Ian Young was one of his best athletes in the 1960’s who went on to become one of the Edinburgh University team that is generally recognised as being the best University distance running squad ever. Ian has this to say about training with Eddie. “I joined Springburn Harriers as a 15 year old in 1960 because I was beating fellow pupils at Lenzie Academy in cross country and track and wanted to progress. There was no athletics club in Kirkintilloch at that time and local boys tended to go to Springburn as their nearest athletic club. At that time. 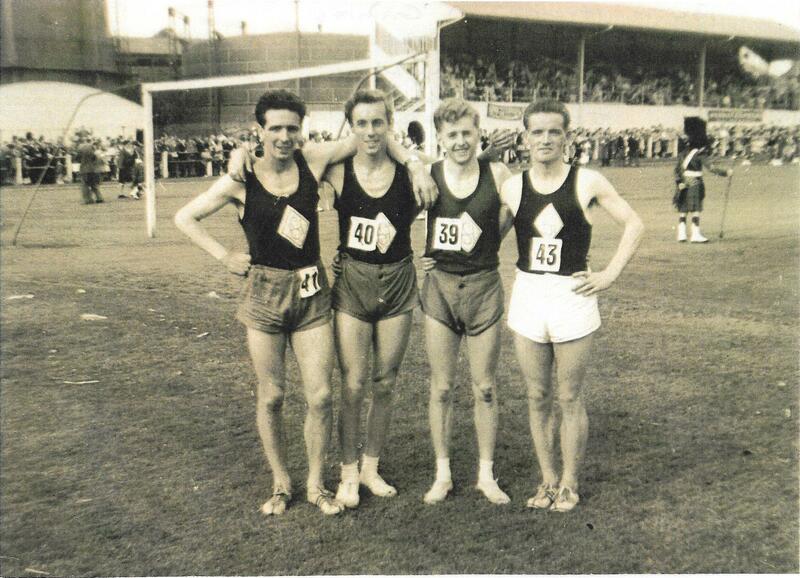 Springburn had 2 significant figures in Scottish athletics in Tommy O’Reilly, 2-time Scottish 3000 metres Steeplechase champion and National Record Holder and Eddie Sinclair, Scottish 3 Mile champion in 1960. The club also had a wider spread of athletes in those days with sprinters, notably John Young, a 10 sec 100 yards performer and field eventers like David Cairns, Scottish champion high jumper and GB internationalist behind Crawford Fairbrother. I have no great memory of when Eddie specifically started coaching me, but he trained every day and because we lived fairly close to one another in Kirkintilloch, I tended to go to his house in Eastside after school and we would go out for a run from there. In the summer we would do interval training, firstly at St Augustine’s School in Possilpark where Springburn Harriers met in the summer months and later at Huntershill when the local authority took over land which the Harriers owned and laid out a track with changing facilities. Eddie tended to work us on 220 or 440 yard repetitions with a jogged recovery in between as per the Franz Stampfl regime. 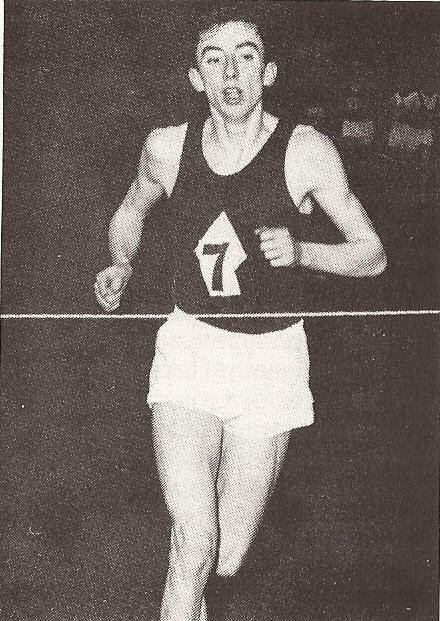 Such success as I had, winner of many Dunbartonshire schools half-mile and mile races, culminating in the Scottish Schools mile championship in 1963 was as a result of his coaching these sessions, stop watch in hand and keeping his own meticulous notes of progress or lack of it, throughout the season. It was during the winter season of cross-country and road races that Eddie came into his own. He had a number of measured road runs around Bishopbriggs and Auchinairn which he led out, initially as a group run but then at an appointed spot as a ‘may the best man win’ race to the finishing point, then a jog back to the club house. He had a favourite route in Kirkintilloch of 5 miles called the ‘Milton – Auchenreoch’ starting and finishing at the corner of Milton Road and Kilsyth Road, ironically outside the cottage where Johnny Stirling, the renowned Victoria Park and Hugh Barrow coach lived. This was used mainly to check progress and improvement amongst his runners. He would start us off at staged interval, all handicapped according to current performance so that the weaker runners could have a chance of beating the backmarkers who were always champing at the bit to get off in pursuit. Another favourite training ground of Eddies was a hill called ‘Skimmers Brae’ at Birdston farm near Kirkintilloch. This could be ploughed field or heavy grassland depending on season and he judged individual fitness by whether or not you could run from bottom to top without stopping. This trial was only slightly less of a hardship than the Sunday training runs from Eddies house which involved 10-12 miles on the foot of the Campsie Hills. Outwith the stamina building and speed building training methods which Eddie used, he also adopted a number of practices from the methods used by the professional or ‘pedestrian’ athletes of th time who were banned from amateur athletics, but where the town of Kirkintilloch had a good few exponents, including latterly, Eddie himself. He used to have me train with lead sheet cut like an insole inside my trainers to strengthen my legs and make me feel like I was ‘flying’ when I took them out to race. He would have us do 50 -100 yard sprints along the canal bank wearing lead insoles or carrying a 5lb dumbbell in each hand (my father’s foundry was useful for making these) to build up the ability to put in a sudden break in a race to demoralise the opposition. Other tactics which he taught his runners were to make your break during road or cross country races as you neared the top of a hill, no matter how you were feeling, because you would demoralise the opposition and be gaining ground by racing down the other side while they were struggling to the top and then saw the gap you had opened up! Another simple instruction was to run close to a wall if there was one bordering the route in a road race because you got a psychological lift from the feeling of speed that that gave you. Again, recognising that his training built strength rather than speed, Eddie always encouraged us to break in the 3rd lap of a mile race or the second last lap in 2 or 3 mile races and make it a long run for home to kill off the ‘speed merchants’. Eddie was passionate about the sport and gave his time and knowledge unstintingly to those who would take it on board and work to improve. He did not limit himself to one age group, tending to use the same methods for all ages but limiting the distances run in training or repetitions or speeds on the track depending on age group, so in this way he could be coaching runners at different stages. No one wanted a rollicking from Eddie which came if he felt you were not putting in the work or trying hard enough. Much has been said about Eddie’s methods ‘burning out’ young athletes at an early age or causing them to have injuries which ended their running careers. I tend to view such examples as guys that had achieved what they wanted to do then moved on to other things or physically had got to the point at which they were not going to develop further and gave up with at least some notable achievements behind them which they would not have had without Eddie’s support, encouragement and training methods. Eddie Sinclair’s contribution to coaching, to Springburn Harriers and to Scottish athletics deserves to be better remembered than it is.